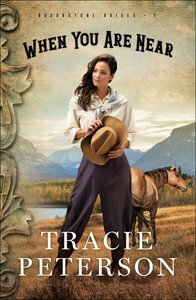 :After her father's death, Lizzy Brookstone, the star trick rider of the all-female Brookstone Wild West Extravaganza, takes over management of the traveling show. In her new role, she has to work with both Wesley DeShazer, the man who once broke her heart, and Jason Adler, her financial partner. Soon, she finds herself torn between the two men. About "When You Are Near (#01 in Brookstone Brides Series)"